Phillip Leaman is a versatile commercial and property lawyer with excellent drafting and negotiating skills. Possessing a sound understanding of the business issues facing his clients, he is committed to providing commercially focused legal advice and high level service. Phillip Leaman knows that his clients want to get the deal done and start making money, and takes a strategic approach to ensure an effective and expeditious outcome. He provides easy to read, straight forward commercial documents. 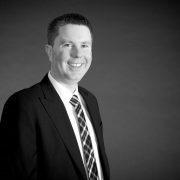 Phillip Leaman has acted for a substantial amount of compulsory acquisition matters on projects such as East West Link, Level Crossing Removal Project, Sky rail, Melbourne Metro Rail Project, Dandenong to Caulfield Voluntary Purchase Scheme, council acquisitions for public open space and other projects. Advising real estate agents. See our full list of real estate agent services. Phillip Leaman has been an active member of Scouting for over 15 years as a leader. He is a Queens Scout and Baden Powell Awardee and was an Assistant Scout Leader of the 1st Hoppers Crossing Scout Troop and a member of the Victorian branch Air Activities Team. Phillip’s other interests include scuba diving, golf, flying light aircraft and he has obtained his private pilot’s licence.